Will my story resonate with anyone? When you write a story, you never know if it will resonate with anyone. Then a person like Dr Beatriz Copello writes a review and you find yourself dancing with joy, thinking how blessed you are. The Usual Story by Libby Sommer takes the reader into the life and mind of Sofia. Sofia is a middle-aged woman, a writer and very much involved in dancing, particularly Tango. Tango, a dance that was born in the 1800s around the port of Buenos Aires, Argentina, was the dance of port workers and women of the night. Nowadays, this complicated and elegant dance is very much in vogue and danced around the world. Tango gives some sort of skeleton to a large part of The Usual Story. Other sections deal with relationships from the past and the present. The reader gets to know Sofia as she dances and relates to the other dancers who participate in the Tango classes. 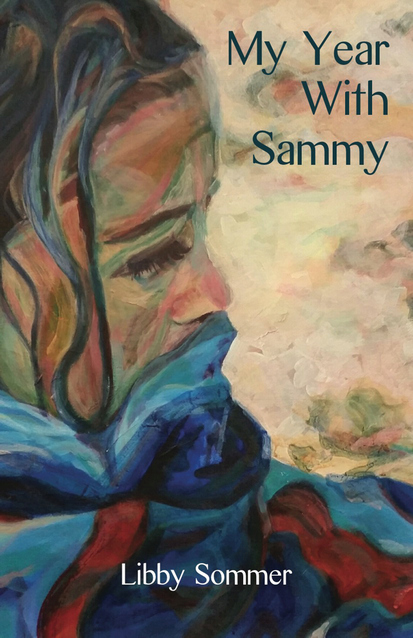 In an interesting way Sommer mixes in her text Sofia’s tango adventures and lessons with her thoughts and love experiences, as well as evocative descriptions of her surroundings. Little by little, I’d learned new things about J. Once, when staying with him in that first summer, I found him lying on my bed with so pitiful a look on his face that I couldn’t see into it. It was very painful to realise how utterly defeated he looked; everything about him was different to what I’d seen before, out of sync, closed down, remote, his very guts hanging out in front of me. The sea looks different every day. Today it’s a mid-grey tone, its surface moving in a gentle tugging motion as a container ship moves south along the horizon. A moist breeze brushes my cheek as the waves make a hushing noise as they curl into the sand of the beach. I watch the colour creep slowly into the clouds. A flock of lorikeets balances on the bare branches in front of me. There is a certain melancholy in The Usual Story which I believe stems from the relationship of Sofia with her mother and her daughter. Relationship between parents and children can be very complicated. As sons and daughters we tend to arrive at a different view of them according to our age. As children, our parents are like gods; as adolescents they can be our enemies; as adults we tend to be more objective but we are too busy with our own children to spend time analysing these relationships. We may also depend on our parents to help with our progeny and this clouds our assessment. A different thing is when we get to that same period of life: our third age. It is then, when we have lived and experienced life, that we can be more objective in the evaluation and appreciation of our parents. Sofia is at that stage and she can see clearly her mother’s distant and cold behaviour, but there must be in her a grain of insecurity so she wants to check what she thinks she knows. She wants to be sure. So she searches through memories, analysing them, confirming facts with other relatives. Sofia’s relationship with her daughter is not perfect either. After seeing a mother and a daughter embrace each other with love she says: “They embrace and then walk to the door, still entwined. I feel a pang of wistfulness for my own daughter as I watch them walk away. My daughter who hadn’t wanted to spend a weekend away, just the two of us. She’d said we make each other tense if we’re together too much. But she’d said it in a kind voice. ‘You don’t mind, do you?’ she’d asked. As a psychologist, I found The Usual Story fascinating because the characters are so interesting and authentic. As a reviewer, I enjoyed the book’s clear narrative, perhaps a little leisurely at times, but the pace picks up engaging the reader with a beautiful text. About the reviewer: Dr Beatriz Copello is a former member of NSW Writers Centre Management Committee, writes poetry, reviews, fiction and plays. Beatriz’s poetry has been published in literary journals such as Southerly and Australian Women’s Book Review and in many feminist publications. She has read her poetry at events organised by the Sydney Writers Festival, the NSW Writers Centre, the Multicultural Arts Alliance, Refugee Week Committee, Humboldt University (USA), Ubud (Bali) Writers Festival. Print and ebook editions of The Usual Story available from Ginninderra Press, Amazon, Book Depository and other online booksellers. What a wonderful review. This story and Beatriz’s comments really resonate with me, as a former Fred Astaire Dance Studio owner who performed the tango often! Love this, Libby. wow! i didn’t know you were actually an owner of a Fred Astaire Dance Studio, Jacqui. i knew you were a keen dancer and competed, i think. do you get out on to the floor these days? does your partner dance? The title of your post drew me in, Libby, as I’m feeling that question as I approach the ending of my WIP. Given that your reviewer is a psychologist and a writer, and has written such an indepth review or your book (engaging title! ), what an accolade it must be for you and The Usual Story. I’m thrilled for you! And its a great assurance of deep characters with plenty of complexity, which as you probably know by now is what i love! thanks so much Nika. so glad you liked my post. Nice one…I have enjoyed reading this blog.